Today’s giveaway is gooooood peeps! Please allow me to introduce you to UglySofa.com. UglySofa.com carries popular name-brand catalog slipcovers (that rhyme with Lottery Yarn) at unbeatable prices. 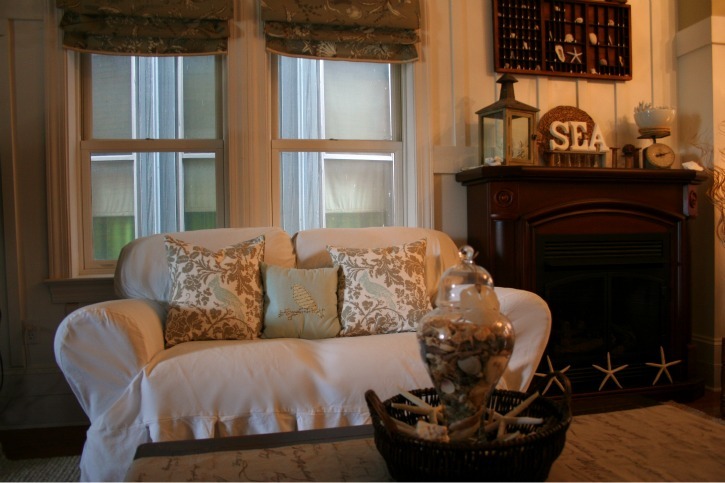 These slipcovers are high-end and are known for their durability and great fit. UglySofa acquired these slipcovers at deep discounts and are able to pass along the big savings to all of us! Their brand is labeled Brand “X” because they “X” out the name-brand tags in order to prevent returns to the original company. …and then you start shopping! Here are the slipcovers I chose for my square cushioned couches. Here is the before picture of my leather couch. Not at all ugly but indeed dark. …and here is the after! …here is the lighter, brighter, and softer after! You don’t have to have “ugly sofas” to want an easy and affordable change. The thing that makes these particular slipcovers look so great is the wraparound pleated skirt. I really think it gives them a much more custom look. And wow, I really love the look of them! Yes, I know what some of you are thinking. You are wondering if I’m worried about the boys and dog trashing them? Yes. Kind of. But I figure you only live once, and I’ve wanted white slipcovered furniture for over a year now. This is such a fabulous and inexpensive alternative to buying “real” white slip-covered furniture! 1. Like UglySofa.com on facebook and come back here leaving a comment letting me know you did so. 2. Sign up for the UglySofa.com email list (which can be found at the bottom left side of uglysofa’s webpage). 4. Share the link to this giveaway on twitter, facebook, or your blog and leave a comment letting me know you did so. Five lucky winners will be chosen by random.org and announced next week! Good luck! Disclosure: I was given two slip covers in exchange for a review and giveaway. All opinions are my own. The separate seat square cushion slip cover would work great with my couch! It is a drab brown now and the nice Natural twill color will lighten them up great! I liked uglysofa.com on facebook!! I “liked Uglysofa.com on facebook. I like the Loosefit Square Cushion Boxpleat Slipcover Large Sofa. Wow, great timing! My dog enjoyed chewing a big whole in my leather sofa so I am looking for a slipcover. Uglysofa.com has great prices..thanks for sharing.I liked on FB, posted on twitter and G+. It would be fantastic to get the Separate Seat Square Cushion Slipcover for a large sofa! The cream, parliament or walnut look great. I would choose a box pleat slipcover in linen if I was to win. I love their slipcovers! I am amazed at their prices! I have 3 sofas I could slipcover right now, but if I only had to choose one, it would be the Square Cushion Tailored Slipcover Small Sofa. 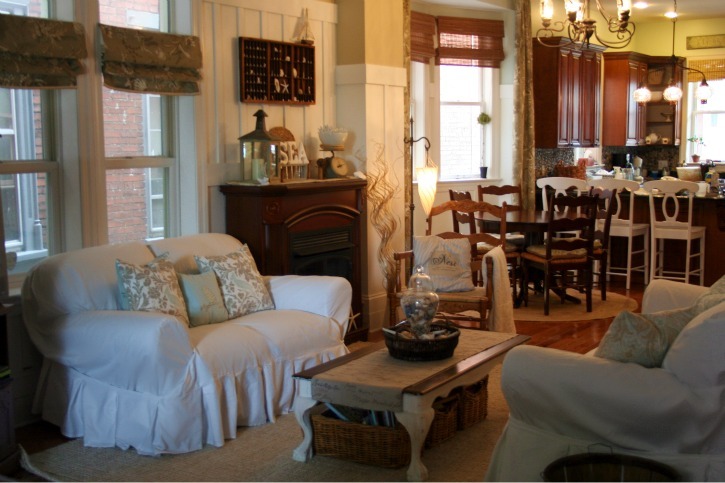 I love the white twill seperate seat square slipcover! officially signed up for their mailing list! I like the loose fir box pleat in white! I now like UglySofa on facebook. I hope I win I have a love seat that really needs a cover. I think I liked the Separate Seat Square Cushions in Natural Twill the best. I twitted the link about the giveaway! Oh,I love the T-cushoin box pleat. I like the loose fit t-cushion boxpleat! Question, I really like the looks of the fabric you chose, which one is it, cream twill or ivory linen? The slipcover I need is the Loosefit T Cushion Boxpleat Slipcover Large Sofa in flax linen. I signed up for their email list! I just “liked” uglysofa.com on facebook! I really like the Loosefit T Cushion Boxpleat Slipcover Arm Chair in natural twill. I signed up for uglysofa.com’s newsletter. I liked uglysofa.com on facebook. I love the covers that you have: the box pleated white t-cushion large sofa one. Thank you Ugly Sofa for the giveaway! There is no shortage of “ugly sofas” in my home! I could have choosen several from the site. Hope I get the chance! I “like” Ugly Sofa.com on Facebook! Crossing my fingers! I liked them on Facebook! I could really use one for my first apartment’s hand-me down sofa. They look great! Hey I did as you requested. The covers are beautiful! Pick me …pick me. Not only a like on facebook, but I ordered one because I thought yours looked awesome!! Great price too! i like the box pleated t cushion in white. they are all nice. you do great work. i could never be that good no matter what lol my couch is sooooo ugly. i let my sig. other pic out sofa. MAJOR MISTAKE OHHHH SOOOO UGGGGLY. i cover it with anything from a sheet to a quilt and its holding up so well ill never get rid of it. HELP I NEED A SOFA COVER DESPERATELY. good luck everybody. Left my comment at Ugly Sofa and love there sofa covers!!!!! I liked UglySofa.com on FB! I think I would want to do the boxpleat in the flax linen or in the natural twill… love that beachy chic look! I would choose the Loosefit Square Cushion Boxpleat Slipcover large Sofa in natural twill. I happily joined their mailing list! Would love the T-cushion box pleat loose-fit large sofa cover in white or natural! Thank you Ugly Sofa for the chance to win! I liked Ugly Sofa on FaceBook. My daughter has a really, really ugly sofa. I would love to win a slipcover for her. I like the pleated one like you have only she would probably get one with a darker color since she has a toddler. I just viewed the ugly sofa website and selected the separate seat square cushion slipcover in walnut. AND . . . I would get the square cushion boxpleat to spruce up our decrepit loveseat. I like the Loosefit Square Cushion Boxpleat Slipcover Large Sofa cover. My favorite is the Separate Seat T Cushion Slipcover. My favourite would be the ‘seperate seat square cushion slipcover’ for our ugly sofa. Their prices are awesome. Thanks for the chance. A great giveaway! I ‘liked’ them on facebook. Ok so…. I’m not on Facebook, nor on Twitter, but I do read your blog! And I have a big mouth…. so I told a bunch of other Mom’s about Ugly Sofa! There wasn’t a single one who didn’t want a slip cover for a couch or chair of theirs! From their web site, I would choose the ‘Box Pleat Tailored T-cushion’ for my living room couch. My decorating is at a standstill because I just don’t like the color of my couch. I signed up for their email list on their web site. I would love a cover with separate cushion covers in a white – I really need this as I definitely have an ugly sofa to cover! I liked Uglysofa on Facebook!!! I tweeted about the giveaway. My twitter user name is mnmomof2inohio. Thanks!! Just went to Uglysofa.com. heading back over there to check out the pics!!! O I would love to win the material on my couch is all sheyed on the cushions its nice and sterdy but the cushions. With the economy money is tight around here. I LOVE these slip covers. I Liked UglySofa.com on facebook:)Thanks so much for the giveaway!!!!!! Thanks For the chance to win a slipcover. They look awesome! I signed up for the email list! I am in need of a slipcover to save my sofa from my dog. I love the Separate Seat Square Cushion Slipcover for a large sofa! I signed up for Uglysofa email!! I liked Uglysofa on FB!! I’ve shared it on facebook! I would like to win the Separate Seat T Cushion Slipcover Large Sofa. We have a sofa that our whole family just loves, but it’s looking a bit tired and needs a new doo! I’ve liked Ugly Sofa on Facebook! I’m kind of obsessed with the loose T cushion box pleat in natural twill. I hope I win!!!! I signed up for their email list… & omg I want every single slip cover!! I “LIKE” Ugly Sofa on Facebook!!!! I like the Boxpleat slipcover! I would LOVE to win a cover for my mothers couch. She does not want to get rid of it, now she just move it to another room. I’m liking the Loose Square Cushion slipcover in Stone. Thanks…..
Well, I “slipped” on over to UglySofa.com and hit like, signed up for the email news and now am going to check out the slipcovers. How ironic I’ve been looking, thinking and searching for a slipcover for my most fav couch in my house. Now, let me “slip” back to the UglySofa site and see, which one of these covers will be the most FaBuLoUs on my FaV CoUcH! Thanks BNotP for this opportunity. I like the Separate Seat Square Cushion Slipcover Large Sofa! I need this win! I have the ugliest couches I have ever seen!!! I like them on facebook and signed up for their newsletter. I liked uglysofa.com on facebook and hope I win! Thanks! I like too many of their slipcovers but I think I would order the Boxpleated sofa t-cushion or maybe the square sofa cushion slipcovers. I would have to decide which sofa I would try first. I have two different ones that could use a face lift. I would have to say I love the Loosefit Square Cushion Boxpleat Slipcovers for large and small sofas! I signed up for their e-mail list! and yes I joined the mailing list! I looked at their website and really like the Corner Tie Slate Twill Slipcover. What a cool website, thanks for the info and giveaway. Liked them on facebook. I would love the slip covers you have. I am looking to lighten up our family soon. I’m looking for a slipcover for our couch. would be so great to win! I like the Loosefit Square Cushion Boxpleat Slipcover. I liked Ugly Sofa on Facebook. Crossing my fingers for a win! Thanks for hosting! I’d get the Loosefit Square Cushion Boxpleat Slipcover Large Sofa in cream twill! Liked them on Facebook! I’d love to win! I love the loosefit T Cushion boxpleat slipcover large sofa. I have signed up with Ugly Sofa on their mailing list. I really do like their products and would consider buy one. I just “liked” Ugly Sofa on facebook. I LOVE uglysofa.com!!! Well, I LOVE your blog, but I REALLY do need new slipcovers. The white, square cushion, box pleat would do nicely!!! if I won I would get the same one you have, the loosefit square cushion pleat cover. I subscribed to the ugly sofa website. Perfect timing I have been looking and looking for slipcovers and this is a great place to get them ! I would love to get a box sofa slip cover in white or a chair slip cover. I would love to get both ! Hopefully time will tell !!! I “like” ugly sofa on FB. OMG Beth! How timely is this post! I’ve been searching for slipcovers all week! and I found one on their site that would be perfect for my ugly red toned sofa! Separate Seat Square Cushion Slipcover Large Sofa, I also liked them on FB! Like ugly sofa on FB! I NEED these slipcovers!! I would get the white ruffled one like yours for T cushions, love it!! I subscribed to uglysofa’s website! I like uglysofa on facebook! I love your slipcovers…what a dramatic change ….and I Like ugly sofa on Facebook……If yours is the traditional box pleat….that’s my fav!!!!! I added a link to my sidebar for the giveaway! I would pick a separate seat slipcover for a small sofa, I’ve been looking for one for our loveseat, this is perfect! Oh my. Yes, please. I would love to win a slipcover for my sorry looking sofa. 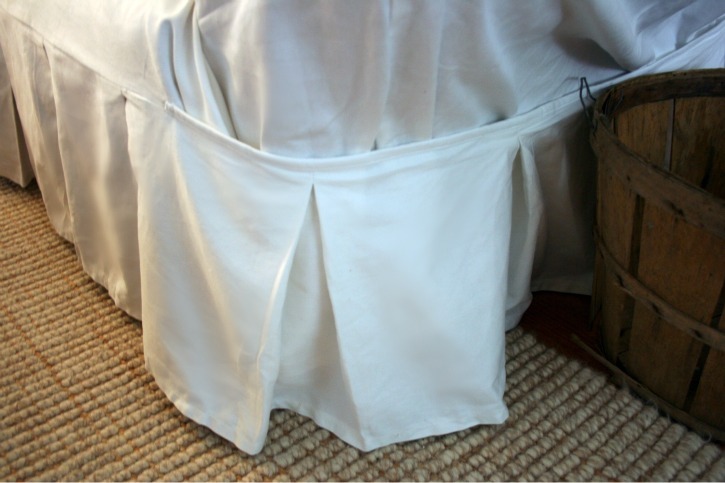 I love the separate seat square cushion slip cover in natural or white twill. Beautiful! Of course, if I won, I’d have to go to uglysofa.com to buy another one for my loveseat… Thanks! I like the Separate Seat Square Cushion Slipcover Large Sofa in natural twill! I liked Ugly Sofa on FB and signed up for their mailing list. Thanks! I would love a Separate Seat T Cushion Slipcover for a Large Sofa! I would love the Loosefit Square Cushion Boxpleat Slipcover Large Sofa. Our previous dog chewed up the sideof our couch, so this would help beautify it. 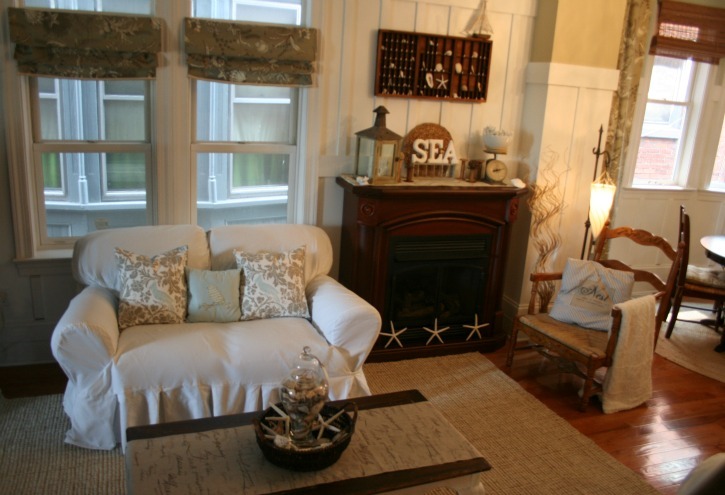 Would love to win the small square cushion sofa tie arm slipcover in white! Signed up for the email list! I like the boxpleat slipcover!! So pretty! 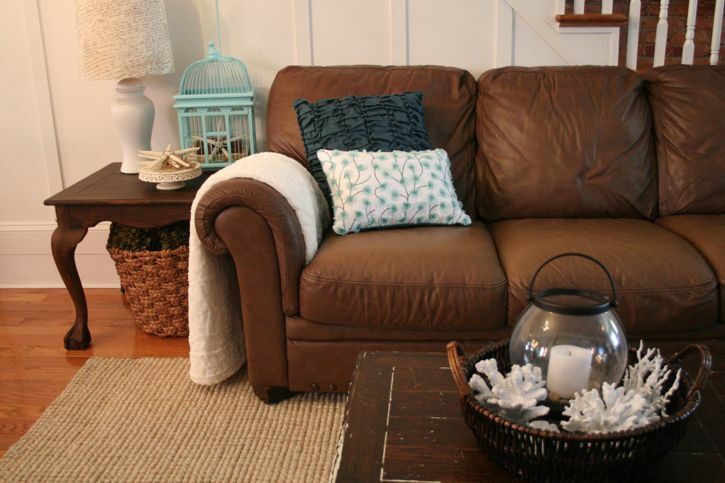 I have “liked” Ugly Sofa on Facebook and would love a slipcover just like you’ve chosen. White with pleated skirt – so cute! Hopefully that’s not too stalkerish since I live a couple thousand miles from you. I just joined their email list! I looked, I liked, I shared, I bought…. I need more! Loosefit square cushion, tailored slip cover – large sofa – ink blue twill. Omg, thank you sooooo much for introducing us to this company! I also like the loose fir box pleat in white. If I don’t win this giveaway I will be purchasing one pronto! I liked on FB, I signed up for email. I’d like the Loosefit T Cushion Boxpleat Slipcover Arm Chair in honey or sage. I’ve been looking for something affordable for my aging chair. I love the loose fit box pleat slipcover. I just bought a leather couch earlier this year and then starting seeing the slip covered couches and fell in love with them. This would be a great way to achieve the look I’m wanting and my husband can’t upset with me…LOL. I linked to Facebook.Their prices are great! !But free is ALWAYS better!! We get new shipments in weekly. So, do check back. White is our top seller! I would *COPY* your white look. I have two mismatched sofas and getting them both to white would be a dream come true…might even inspire me to FINALLY pain my enormous LR! I would love to win the Loosefit T Cushion Slipcover.My couches don’t match the rest of the decor.They are good couches-even if they were picked up beside the road-free! !I want to beautify them!! I liked uglysofa.com on facebook. I have the ugliest yellow and green flowered couch in the basement that is screaming to be covered. It is circa 1975. NEEDS to be covered! Thanks for the heads up on this site! I have done as you have requested and friended UglySofa on FB. I really like the t-square box pleat in cranberry or sage! Yes, I’m already thinking Christmas. At these prices I can change out slipcovers every season! I like the large, box-pleat cover! Too cute! I like the Separate Seat Square Cushion Slipcover for a Small Sofa. I think my ugly sofa would look fabulous don’t you! And I signed up for their email. Holy cow! I’m so glad you shared this site with us! I am in desparate need of slipcovers and these are beautiful!! I would love the Loosefit T Cushion Boxpleat Slipcover. Just Liked them on FB! I like the “Loosefit Square Cushion Boxpleat Slipcover Large Sofa” They have such great prices! Just shared on FMFPTY FB page! Loosefit T Cushion Boxpleat Slipcover Large Sofa in Ivory Linen! I have the WORST sofa ever in my living room and there’s probably no $$$ to replace it any time soon. Hi – I liked Uglysofa on Facebook! 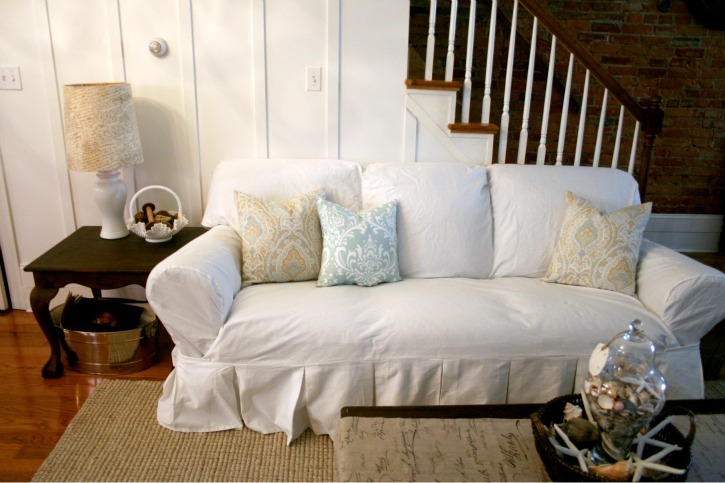 Oh, and I love the Separate Seat Square Cushion Slipcover Large Sofa in white twill! I shared a link to your giveaway!!! how exciting! I also signed up for the email list! I would love to have the “Loosefit Square Cushion Boxpleat Slipcover Large Sofa” in cream twill. I signed up on their email list! I liked uglysofa on fb! I receive their emails.. I am impressed with their prices!! Loosefit Square Cushion Boxpleat Slipcover Small Sofa. I loooooooove the pleats on the bottom! This is an amazing site! So glad I found this site! Tween son with a pocket knife and a love for Cheeto’s has made it necessary for me to need slipcovers …..
No question, I’d love to scoop up a Loosefit T Cushion Boxpleat Slipcover in white. I would love the Loosefit Boxpleat Cream Twill Large sofa cover. I totally “Like” them on FB! I checked out the website and did a happy dance! I would love a loosefit square cushion tailored cover in stone twill please!! I would [love, love, love] to win theLoosefit Square Cushion Boxpleat Slipcover Large Sofa. I have a brand new [old lady] couch from my grandmother that desperately needs a cover =) I “liked” on facebook & shared on my twitter page =) crossing fingers you can send me one my way!! I signed up for their emails! 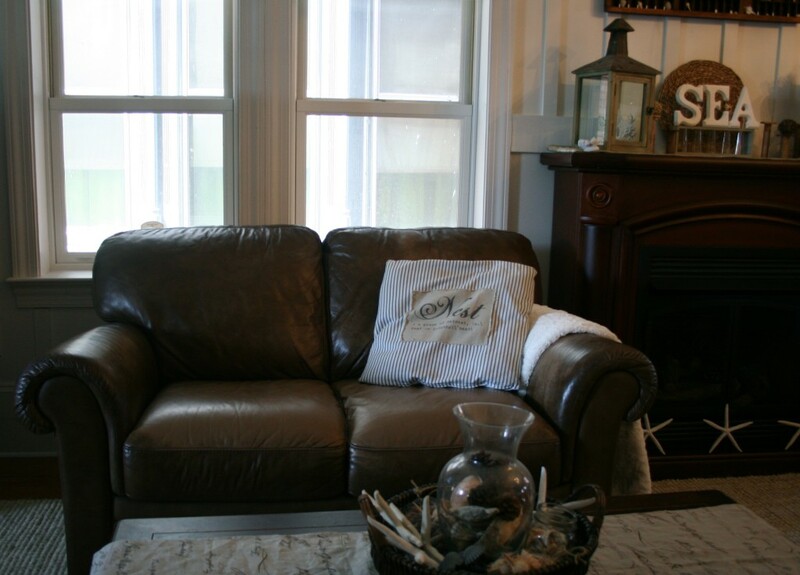 I would love to win the Loosefit Square Cushion Boxpleat Slipcover Large Sofa! I am redecorating my living room in beach house style and this would look great on my sofa! I would love to win the Loosefit Square Cushion Boxpleat Slipcover Large Sofa. I have two green paisley sofas that I desperately would like to change, this sounds so much better on my wallet. I would choose the “loosefil T cushion box pleat” slipcover! Oh how my couch needs one! I liked Ugly Sofa on FB. I like Uglysofa on FB !!! Hi. “liked” & “shared link” on FB, signed up for email on website. Fingers crossed I’m a lucky winner! I liked ugly sofa on FB…. I did it! I liked Uglysofa on FB!! Wait…are the prices on their website real?!! AMAZING! 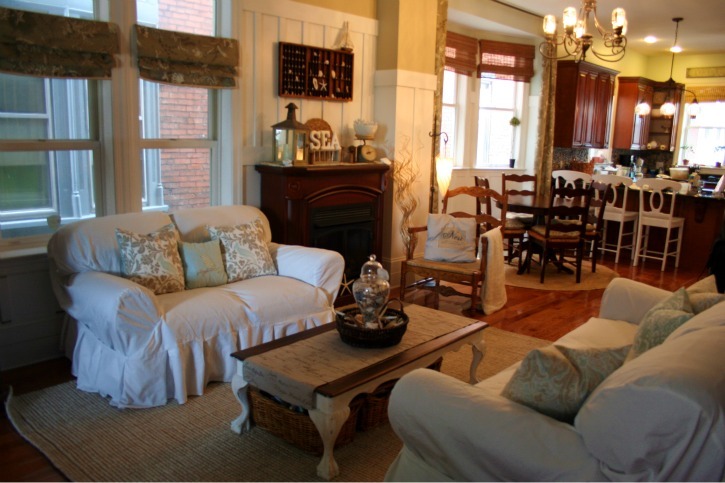 LOVE the white large sofa ruffled bottom slipcovers!! Like them on FB!! SOOO exciting!! Wow!! What a deal! I love the box pleat slipcovers. I just posted your giveaway on my fb page. It is linked back to this page. 🙂 Great giveaway, Beth! And I like the pleated version of the slipcovers in the Sage Twill color! I also signed up for their email list! I “liked” them on FB! Almost forgot, I would LOVE to have a Loosefit Square Cushion Tailored Slipcover for a small sofa! I like UglySofa on FB! And shared on my Facebook page – thanks for the giveaway Beth!! Loosefit T Cushion Boxpleat!!! I love love love it! I like the Separate Seat Square Cushion Slipcover Large Sofa cover – nice!! 😀 In Walnut please! I signed up for their newsletter under a seperate email addy. I made a comment on Ugly Sofa’s site and signed up for their email for the sofa cover giveaway. Thanks for the chance for a win!